Information on this mostly ‘70s and ‘80s surfboard brand is hard to come by. In the mid-‘70s and through the ‘80s, I was living in Northern California and skiing whenever I could. Occasionally, when I’d come home to San Luis Obispo to visit family and friends, I would always stop by a local surf shop to catch up on the surf scene. That shop was a Canyon dealer…I remember thinking the shapes looked clean, and I’ve always liked the design of the Canyon logo. I’ve learned a few things about the Canyon brand over the years, but I found an interesting article written by a San Diego Union newspaper staff writer in October of 2006. It filled the holes in my understanding of how Canyon Surfboards began. According to the article, John Durward started Canyon Surfboards in 1973. Born in 1946 in Middletown, Connecticut, he spent his childhood summers at the family cabin in Maine. He became an avid sailor and surfer, and even ran a small surfboard rental concession at York Beach, Maine. After high school, John attended Colgate University, graduating in 1969 with a degree in art – which explains the very cool Canyon logo designs. With his long-time dream of moving to California and with intentions of pursuing a graduate degree, Durward ended up in San Diego, where is younger brother was going to school. 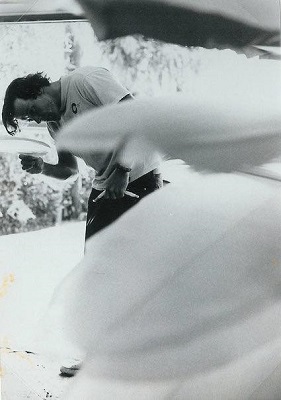 He began shaping surfboards out of his garage, then for Gordon and Smith Surfboards – alongside guys like Rusty Preisendorfer (who ended up doing some freelance shaping for Canyon). In 1973, John opened the Canyon Glass Shop in the Rose Canyon area of San Diego, then added a surf shop of the same name – and Canyon Surfboards was born. 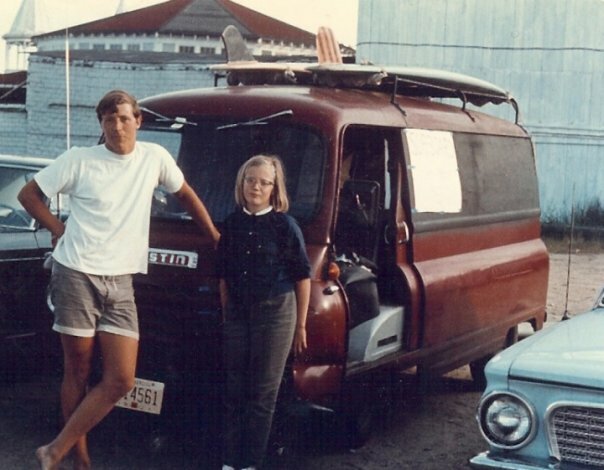 In the early ‘90s, the colorful John Durward saw the surf culture changing and sold his shop. Sadly, he was diagnosed with cancer in 2003, and succumbed to the disease in September, 2006 at the age of 60. Since then, the Canyon name has remained popular thanks to the guys at Rockaway Beach Surf Shop in New York.